Trinidad and Tobago is a lovely tropical Caribbean twin island nation of 5,131 square kilometers (1,981 square miles) just 11 kilometers from Venezuela. Arawak and Carib Indians inhabited these islands when Christopher Columbus landed there in 1498. African and Indian slaves and indentured servants arrived in these British colonies, which became independent in 1962. A Commonwealth-type parliamentary government was retained with elections held every five years. In 2005, the estimated population was 1,088,600 with 37.6% African-descent, 40% East Indian-descent, and 21% mixed. In terms of religion, 26% were Roman Catholic, 22.5% were Hindu, 8% were Anglican, 6% were Muslim, 3.3% did not state their religion and the rest were divided mainly into other branches of Protestantism. Trinidad's major trading partner was the United States (petroleum, sugar) in 1986. The nation was moving from a primarily rural orientation toward an urban one, and from an agricultural society toward a technological society. Most agricultural work was still performed with hand labor, however. Primary school education was available to all children, but limited facilities and teachers did not permit all children to go on to secondary school. Part of the University of the West Indies was located in Trinidad. In the 1970s educational and health facilities and services were expanded with funds from the oil boom. Mennonite Church (MC) broadcasting and medical work, beginning in 1969, led to the formation of the Mennonite Church of Trinidad and Tobago. Keeler, Richard F. "Trinidad and Tobago." Global Anabaptist Mennonite Encyclopedia Online. May 2014. Web. 18 Apr 2019. http://gameo.org/index.php?title=Trinidad_and_Tobago&oldid=122619. Keeler, Richard F. (May 2014). Trinidad and Tobago. Global Anabaptist Mennonite Encyclopedia Online. 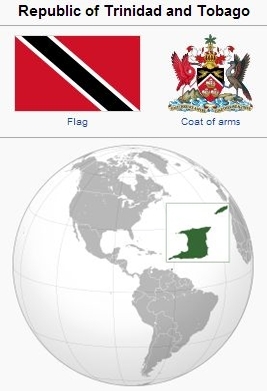 Retrieved 18 April 2019, from http://gameo.org/index.php?title=Trinidad_and_Tobago&oldid=122619. Adapted by permission of Herald Press, Harrisonburg, Virginia, from Mennonite Encyclopedia, Vol. 5, p. 892. All rights reserved. This page was last modified on 24 May 2014, at 04:30.